Blog Design in html is easy with the powerful set of css frameworks available today. Finding one to match your website need is not much of a task with the availability large no of templates. Yet there is a limit to number of free blog html css templates you can find, so we decided to create a few of them ourselves. Get ready to build brilliant blog websites with our exclusive templates (Spore, Burstfly) released today just for you. Spore and Burstfly are exclusive blog designs by designscrazed which has been made free to the public under GPL license. Although these are not your minimal blog design templates as you can see they are made for sharing rich contents. Spore is a masonry style design which can be used for gag, small blogs , food, travel blog etc. 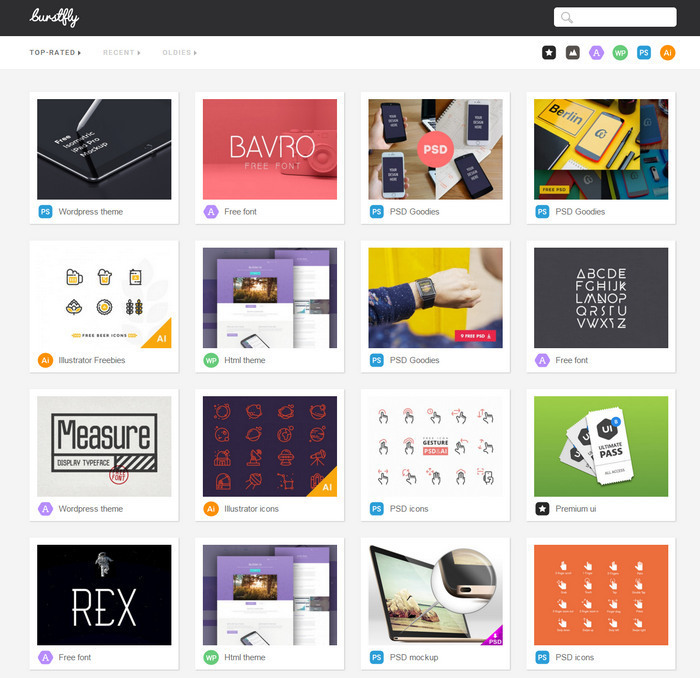 Burstfly on the other hand is strictly for content sharing blog websites similar to freepik. Its been made multiple times clear that pretty blogs don’t make a good website. The functionality and the content presentation is the key to any blog success. As you might have seen we switched to a WordPress theme called “voice” recently and used it almost for a month. Now you can see we have switched back to our beloved “Sahifa” theme as this theme brings in more pageviews than the old one by a huge margin. Performance of the blog is essential as in our case we tried to choose a eye candy blog(voice) and failed. Also check this article of 50+ Free Responsive HTML5 CSS3 Website Templates. Spore is a wonderful HTML5 masonry blog template for presenting incredible blog posts, photography, portfolios, or design works in a unique way. It comes with a vibrant design layout executed with a traditional three column layout and striking parallax special effects to flawlessly exhibit the page. We made it fully responsive html template and has been entirely designed by designscrazed for you to make that exquisite blogs which will flock viewers to your blog. The beautiful template works for all devices and looks equally beautiful despite the size of screen that you are using. It helps you get the blogging experience of your life. 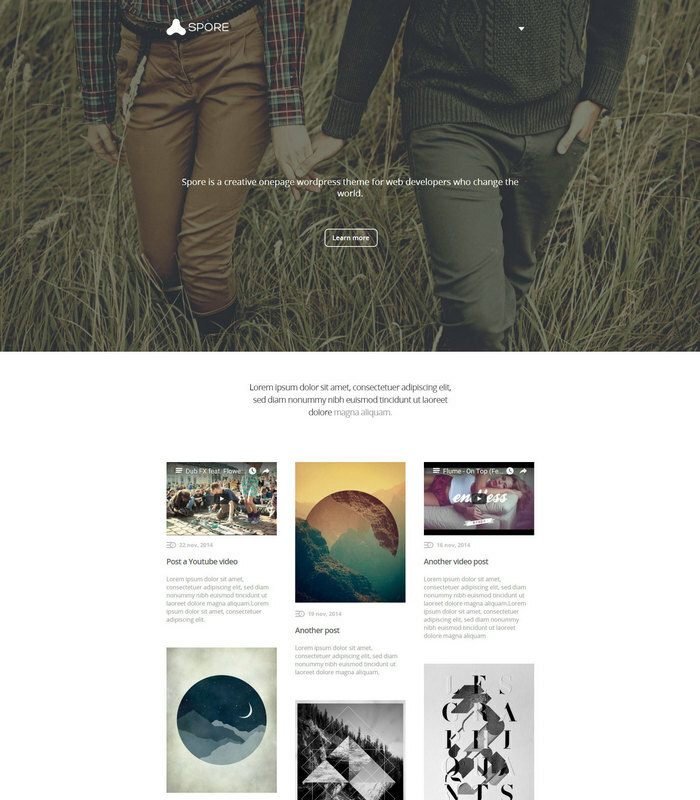 This Grid HTML Template was released this year in the month of February and has captured the hearts of many bloggers. This beautiful template is absolutely worth giving a try. The template has been made and developed by designscrazed and is absolutely free for you to download and use it. It is a HTML5 template and is responsive, which means your blog will look stunning in laptops, mobiles, tablets or computers. The screen size will not steal the beauty of your blog and will continue to look attractive to the eyes of the device holder. Platz is meant for blogs that have a lot of content sharing. WordPress version will be released and it is a work in progress. So stay tuned. Future Imperfect is a HTML5 responsive template, which will work beautifully on all screen sizes; mobile, tablets and desktop. It has a modest and spotless design, a side column, an off-canvas menu and a fixed menu on top. If you are an author, writer or a creative artist and wish to share your content to pocket an extra income Future Imperfect gives a feeling of authenticity to your viewers. This creative template is an additional feature for your business that requires blogging. You can build websites for personal blogs, travel blogs or even technical blogs for reviews. 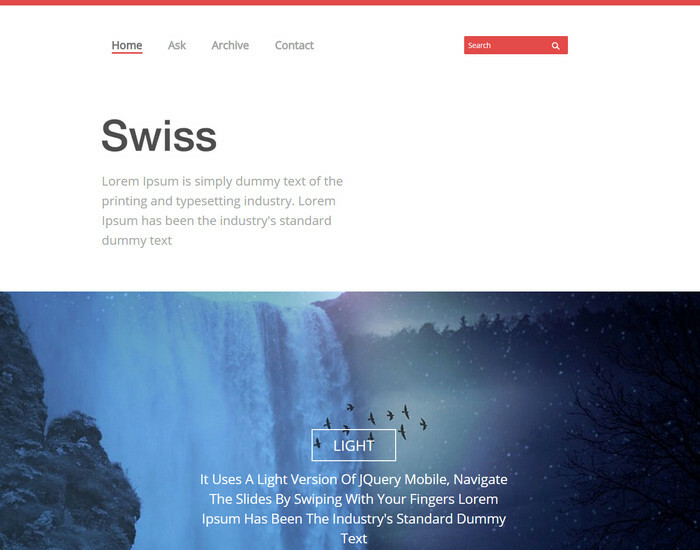 Swiss Website Template is a minimal single and clean responsive template that has been designed with HTML5 and CSS3. You can use Swiss website template for a website or a blog or other purposes to suit the work type. It is mobile friendly and looks good in all screen sizes. There are three formats available in the download for hassle free work in all the devices. The template can be downloaded for free from the internet and has wonderful reviews from all the customers. The template is easy to work on and the final results are wonderful. The viewers and visitors of your website or blog will not regret visiting the site. The template is built on flat Bootstrap and is a clean and professional Blogging sort. All the features are powerful and you can customize them according to your needs of your blog. The flat responsive chocolate brown web design is absolutely free for you to download and use for your blogs. The template looks the best for beverages, food and coffee blogs but looks just as wonderful for other blogs too. 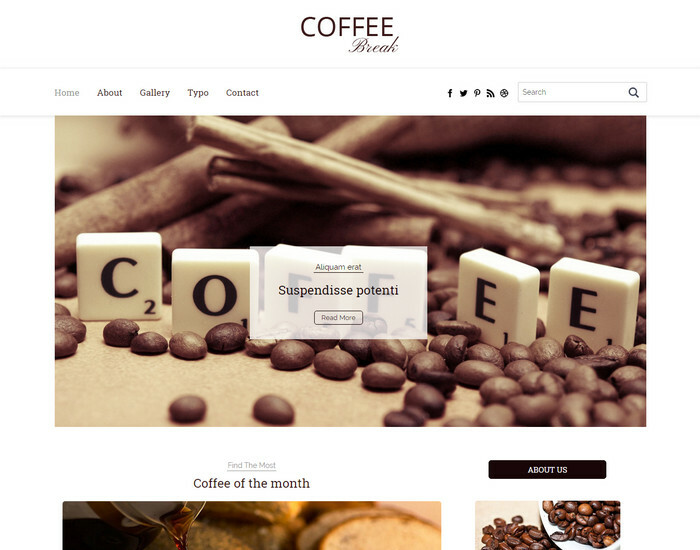 Coffee Break has been designed on a flat grid and in a Fancy style. It has been designed with CSS3 and HTML5. It works on all the popular browsers like Opera, Google+, Firefox, etc. You can download the template for free. If you are one of the companies or institutions which host or organize a lots of meetings or want to creatively present your business then Triangle is the right choice of template for your work. Animations, multi-colour and single colour variations and spectacular design are some of the best features of this beautiful template. 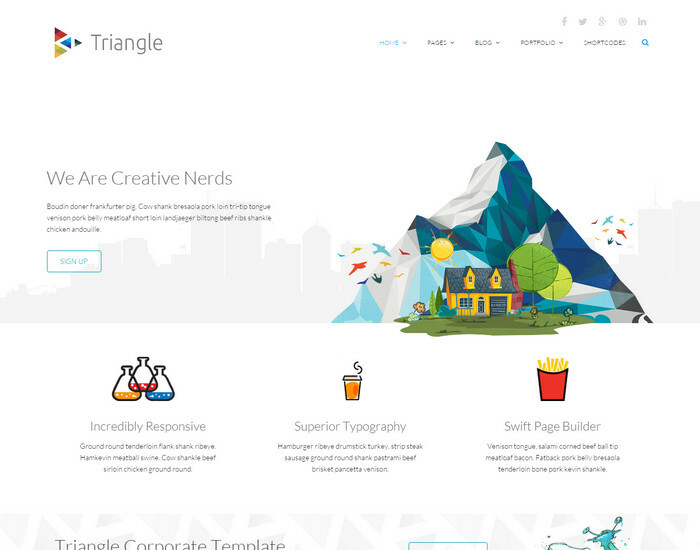 The theme will do extensively well for school or kindergarten websites and publishers. The template is built of Bootstrap 3 framework and has a masonry layout, which works great for blogs. There is a portfolio feature integrated which will help you manage your product display or pictures that you wish to portray. There are many shortcodes for tabs, buttons, Google maps, YouTube player, Vimeo and many more. Ostre is a free template which can be easily downloaded from the internet. The template looks beautiful for travel blogs, portfolios and other personal blogs. There are many shortcodes included in the template where you can create and have trending stories for your blog. The template is responsive and looks perfect on all device screens so you don’t have to worry about you losing out on traffic for the smartphone savvy viewers. There are wonderful variations of colours and design. It is not compulsory for a template to look extraordinarily beautiful but it should have powerful features to work with and the site will automatically look beautiful. 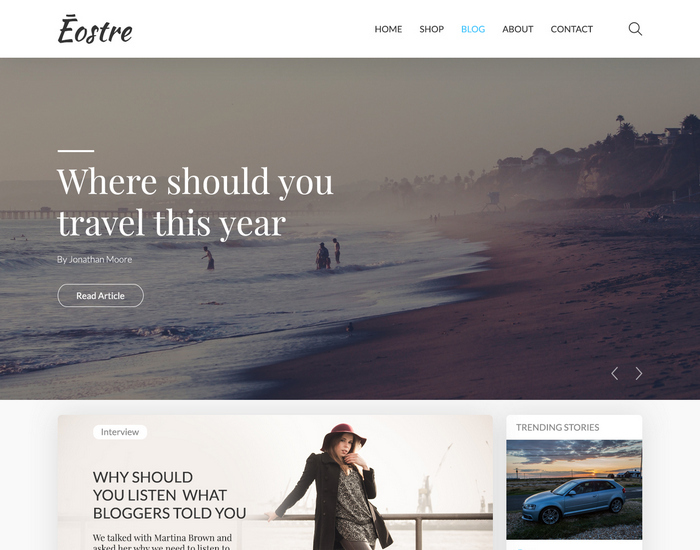 Ostre is the right choice of template for your blog. 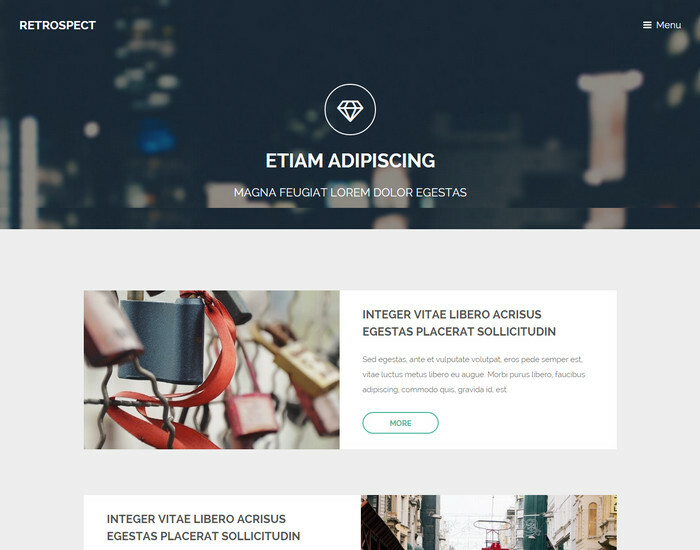 A minimal, focused and free to download HTML template which is appropriate for tutorial, hobby, life style, travel and personal blogs. It has a fullscreen layered option for search and also includes aqua webfonts, self-hosted fontello icon fonts, option for social subscription and custom page templates. Patara HTML features four types of format layouts – Video, Quote, Gallery and Default. Although the standard element of the button is plain but the primary button is distinct and vibrant. There are different fonts that you can use. 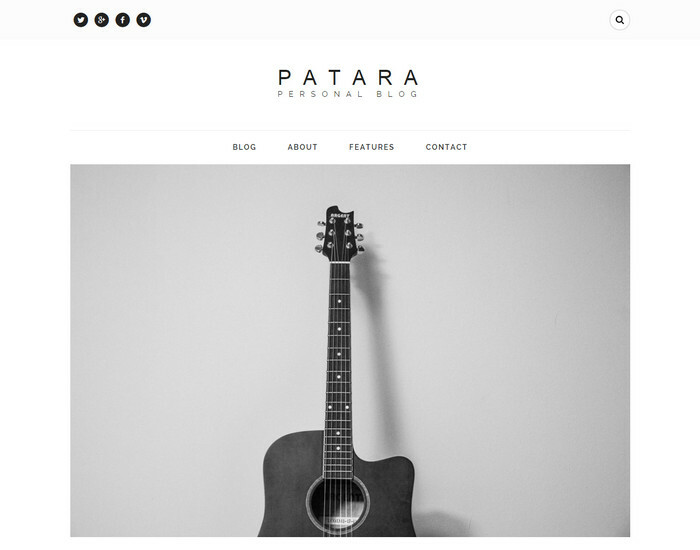 Customers have left positive feedbacks on for the template and it is worth giving Patara a try. 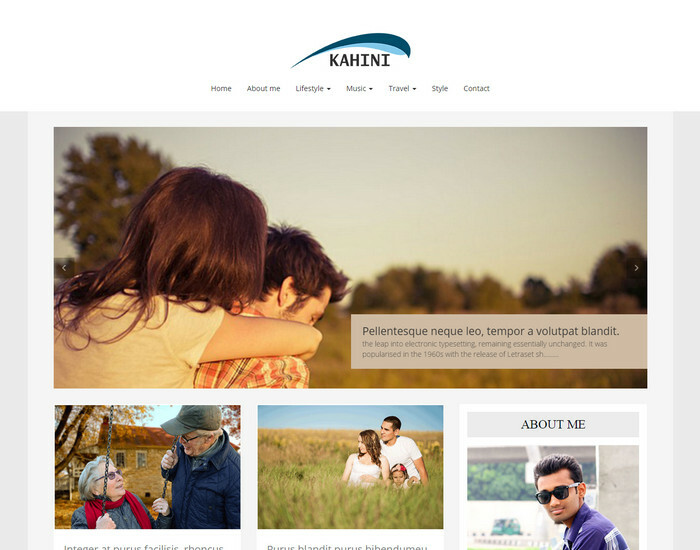 A fully responsive template to suit all the screens Kahini is built with HTML5 and Css3. It has been SEO optimized so you don’t have to worry about your blog or website not being discovered. The template is based on 1170 pixels grid and is organised and layered. If feature Google fonts so you don’t have to worry about being limited with your creativity. The codes are simple and can be easily customized and can be understood by a new user also. The blog looks elegant and is best suited for travel, interiors and personal blogs. There are many features which can be used to build a smart blog and website. 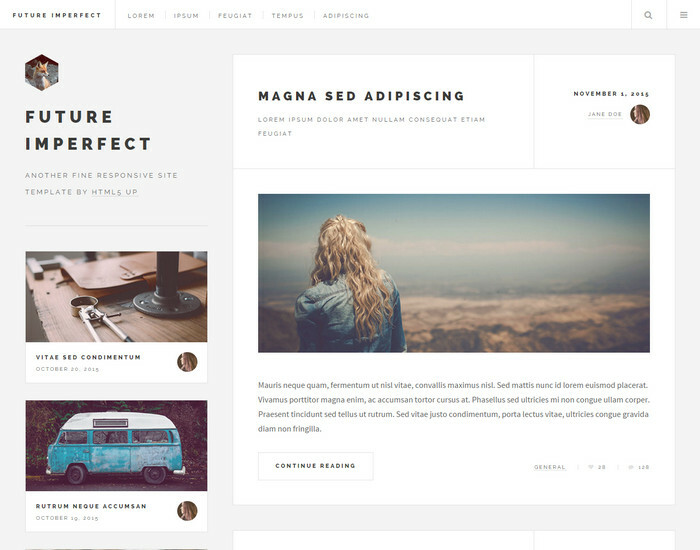 Retrospect Blog is a free HTML5 Template which can be used to build blogs as well as websites. Whether personal or for business purpose, the setting can be easily customised and integrated in the template. It is a responsive template and can be viewed in any type of screens without the pixels looking bad. The colours and fonts are many and you can set them as per your choice. 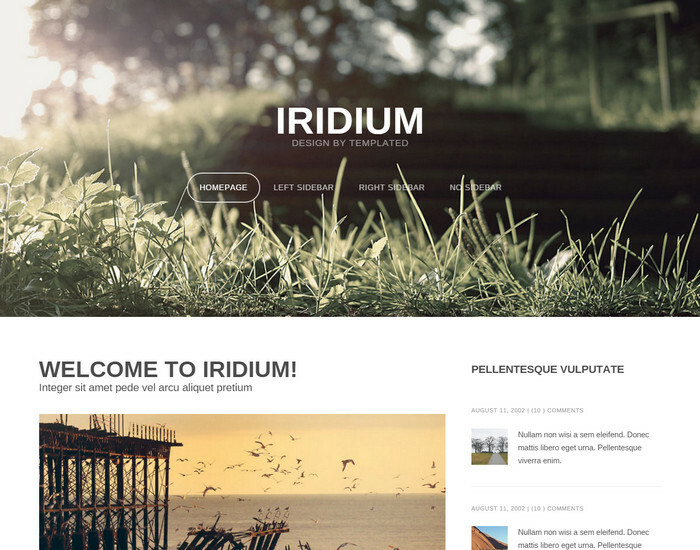 Iridium is a free to download template which is available to everyone on the internet. There are hundreds of downloads happening everyday on the internet and customers seem to be happy with the way the template works. The features can be easily customized and make your blog look beautiful. Iridium looks beautiful for magazine websites and blogs because it features a photo gallery which makes your pictures look beautiful. The template is featured on two colors grey and white and is responsive so your viewers will be able to view your website from any device specially with everyone so tech savvy, smartphones are the choice for every viewer. 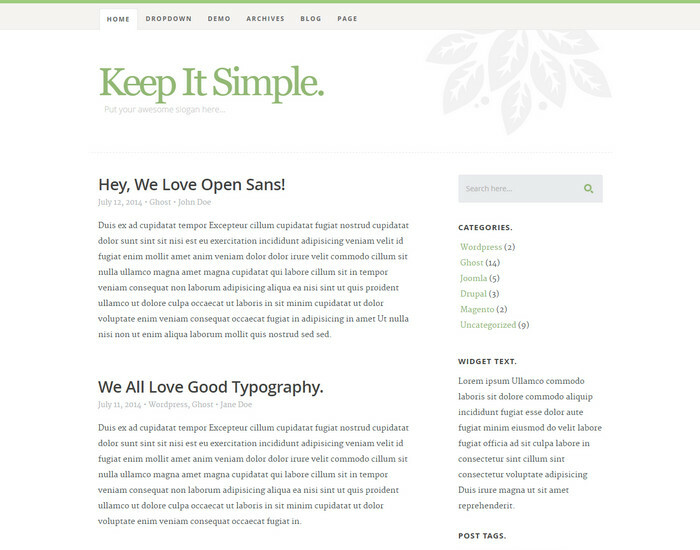 KIS is a wonderful blog built on HTML and can work wonders while building a website. You have access to many features which you can customize to use while integrating it in your blog or website. Whether it is a travel, photography, personal or others the looks of all the blogs are brilliant and attract viewers. You can easily download it online from your internet. The template is responsive and can run smoothly on all the devices; smartphones, tablets, computer and laptops. 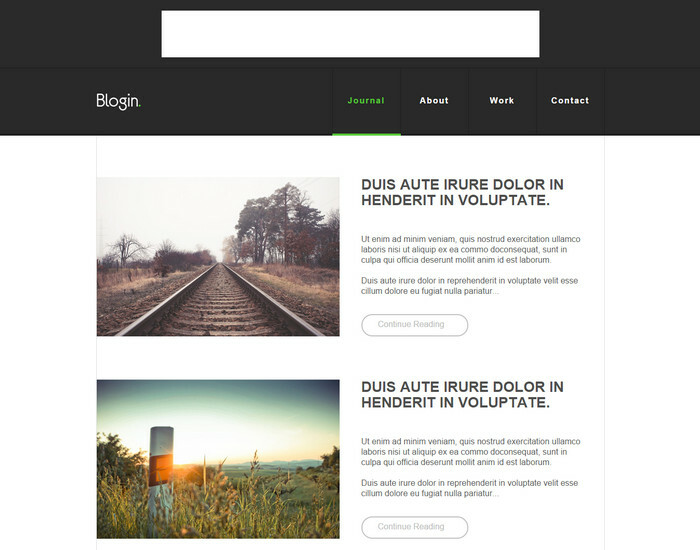 Blogin is a minimal, wonderful clean and multipurpose PSD blog which is specially made for photography and your personal blog. It is a well organised PSD file which is fully layered, named and can be easily modified. It also features the HTML and CSS version which you can download for free from its site. The template is responsive and has hundreds of features to build a blog. You will be thrilled to see the final results of a blog or website build from Blogin. Blogin has been reviewed by many customers and you can review them before you download the template. The colors and fonts are many which you can chose from. Thanks for gather such amazing collection. I like Iridium blog templates that is well-liked by the users. We know without html & css we can’t create a website . But html5 &css3 comes to the new feature & design .So thanks for sharing this article. Awesome templates! Thank you so much. You saved a lot of time! Are there any basic tutorials or documentation for “Spore”? Or any of these templates? They look great and I appreciate you posting them! its better templates ever i seen. I’m very appreciated.